This was a fabulous little find that we came across recently. 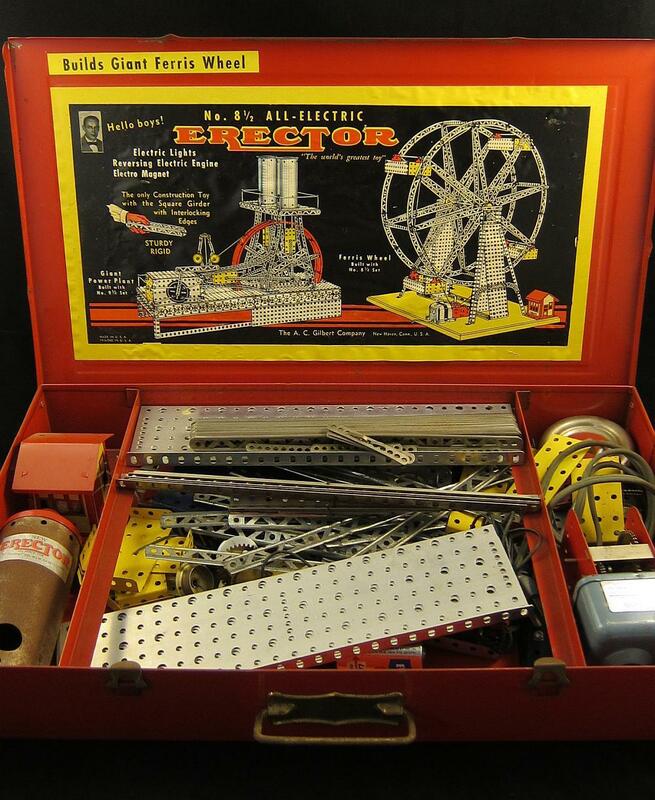 It’s a vintage A.C. Gilbert erector set from the 1940s. This is the 8 ½ model to build an all electric Ferris wheel. How cool is that!? 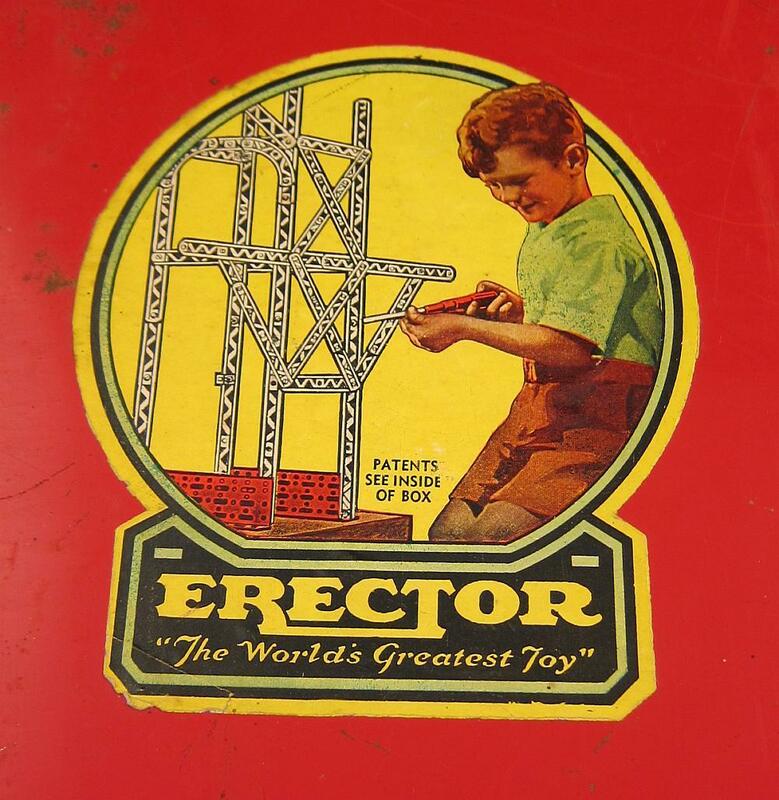 It boasted the slogan, “The World’s Greatest Toy!” and I’m sure a lot of boys would have agreed. This is a future engineer’s dream and I’m sure it was on everybody’s Christmas list back when these were super popular. 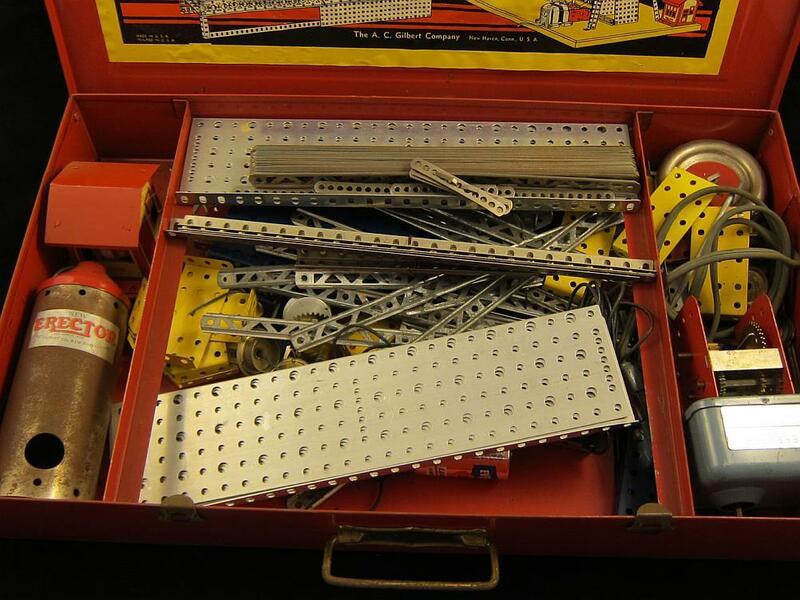 Our erector set was a little worn. The metal case had some scratches, but not anything too deep or damaging. I’m sure some parts were missing too, but we had over 200 pieces here and a lot of them were still in great shape. There was a little bit of rusting as well, but considering this is 70+ years old…that’s to be expected!